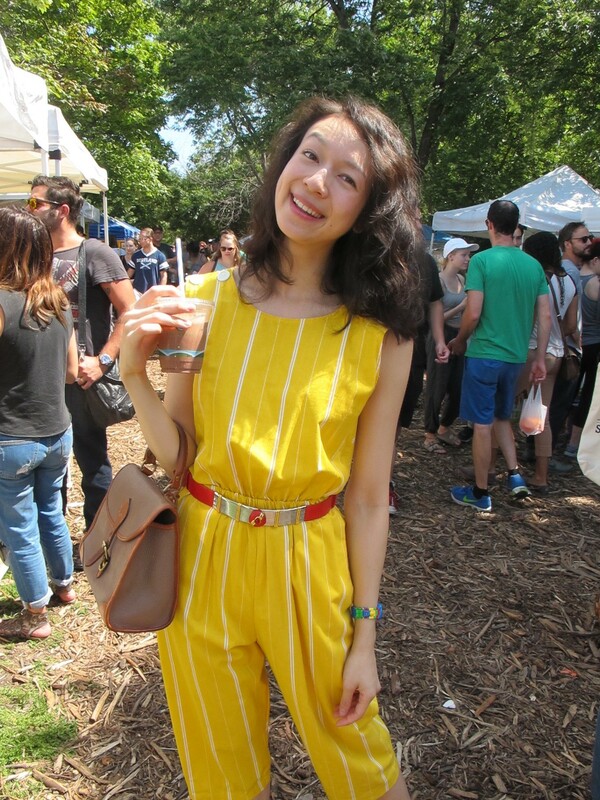 "I was making a smoothie, and the banana I used was sooo yellow," says Nadha Vikitsreth, who was spotted on a recent Sunday strolling the Logan Square Farmers Market. 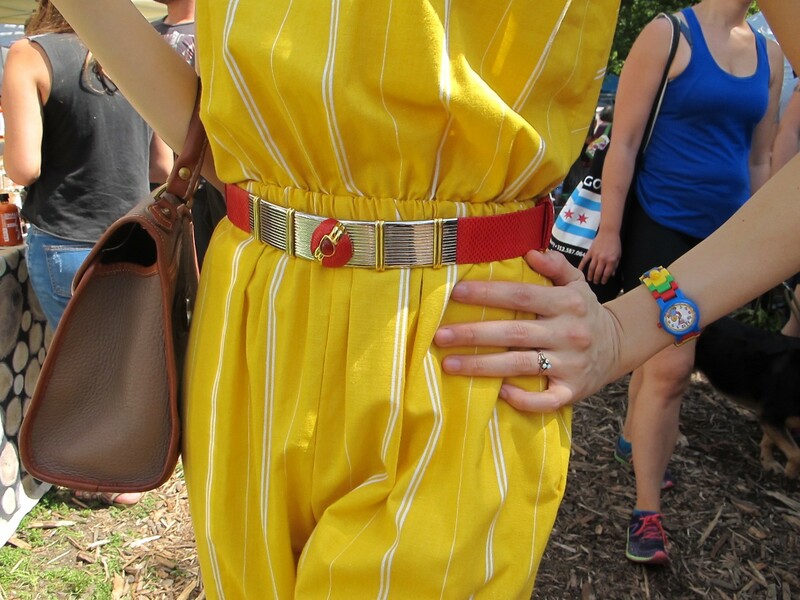 "So I wanted to dress like a banana, but with a twist. 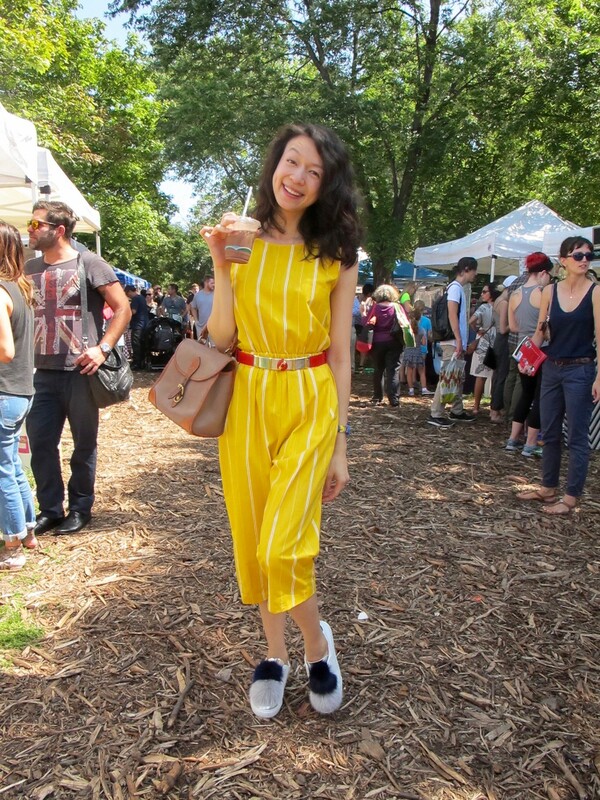 I added my favorite Judith Leiber belt, from Store B in Wicker Park, to jazz it up, and slipped on my fluffy sneakers from Felt in Logan Square." The developmental therapist usually peppers her outfits with feathers and rhinestones, a nod to the costumes she creates for her burlesque performances as part of Vaudezilla at Stage 773. "I'd like to think that designing a costume and putting together a daily ensemble are the same," she says. "The whole point of both is to bring a smile to my face." Check out Nadha's cool accessories below. Shoes purchased at Felt in Logan Square. Belt purchased at Store B in Wicker Park. Camo also relates to the Democratic Republic of Congo’s recent war-ravaged history.